If you haven't done this yet, do it now! Just stick it on an express wash, same temperature as you would normally wash your clothes and then dry as normal. There is nothing worse, but nothing worse, than spending hours lovingly making a dress only for it to shrink the first time you wash it. In fact, it's an excellent habit to just stick all new fabric purchases in the wash the minute you get home. If you are using a very delicate fabric like silk, you could either put a small swatch in the wash first to see how it reacts, or simply omit the pre-washing and just remember to dry clean your dress instead. 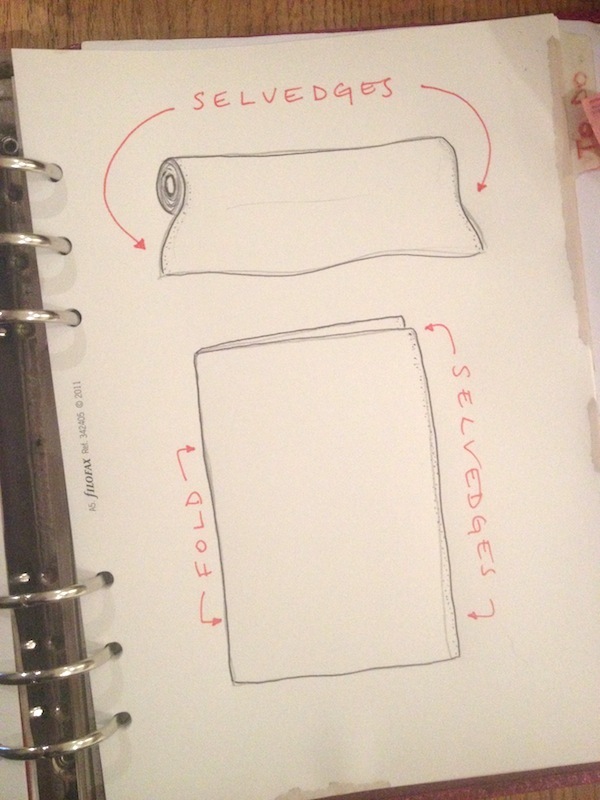 If this is your first time working from a sewing pattern, you may be wondering how to actually fold your fabric in the best way, what in the hell a "selvedge" really is, and exactly how to locate that elusive grainline... No fear, we've all been there! 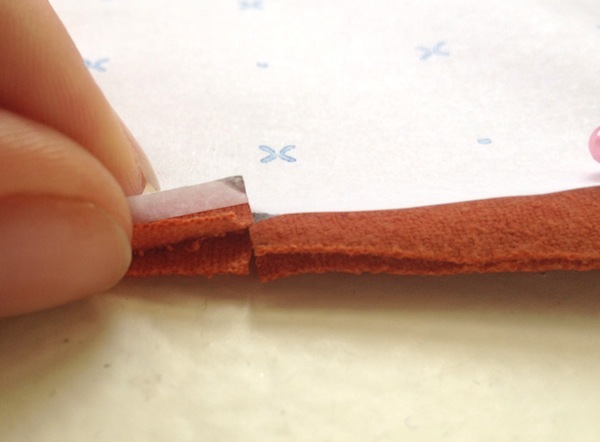 When you fold your fabric ready to lay on your pattern pieces, you need to fold it lengthways, so that the fold is parallel to the selvedges, and from there the rest is easy: the grainline is also parallel to the selvedge! 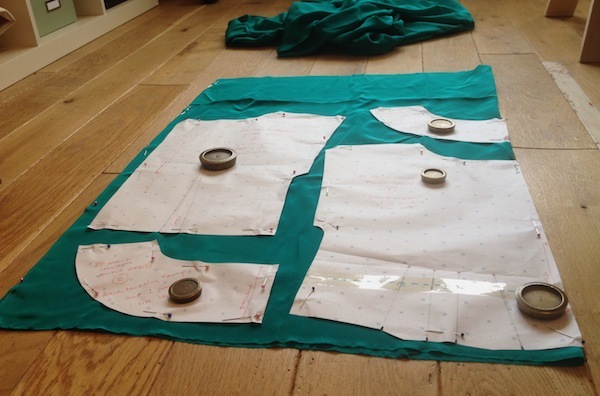 Once you've located the selvedges and folded your fabric according to the diagram above (right sides of the fabric together - this makes marking easier later on), you're ready to start pinning on your pattern pieces ready to be cut. 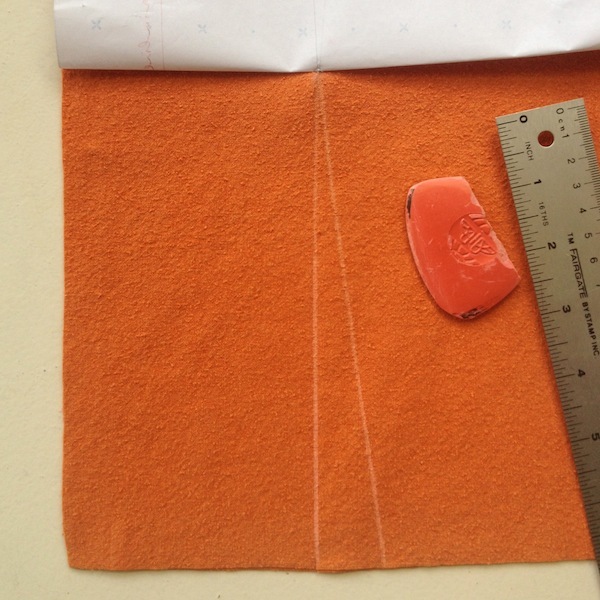 Use the layplans in the Anna Dress booklet as a guide and take extra care with the grainline on the skirt panels, and with the pieces that need to be placed on the fold. Keep the pin in place, and repeat this on the other side. 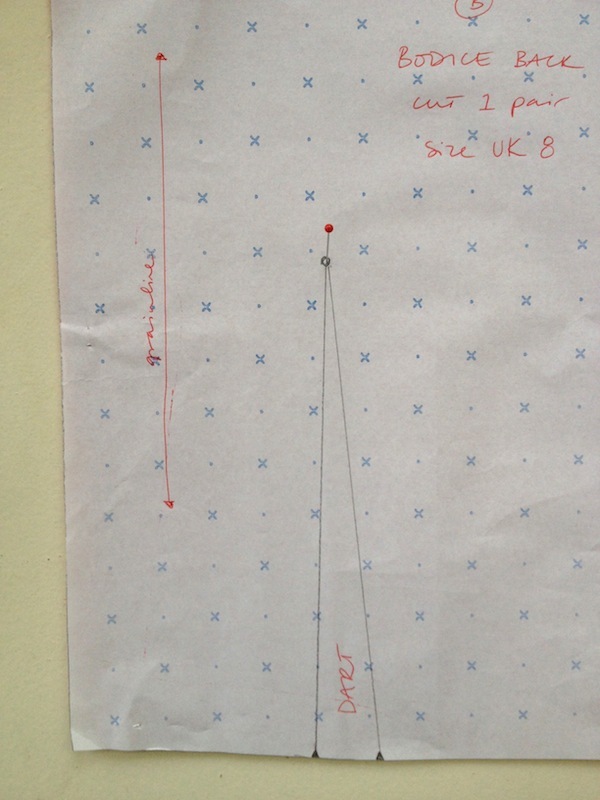 So now you should have all your pattern pieces cut out, notched and marked. Double check those skirt notches! 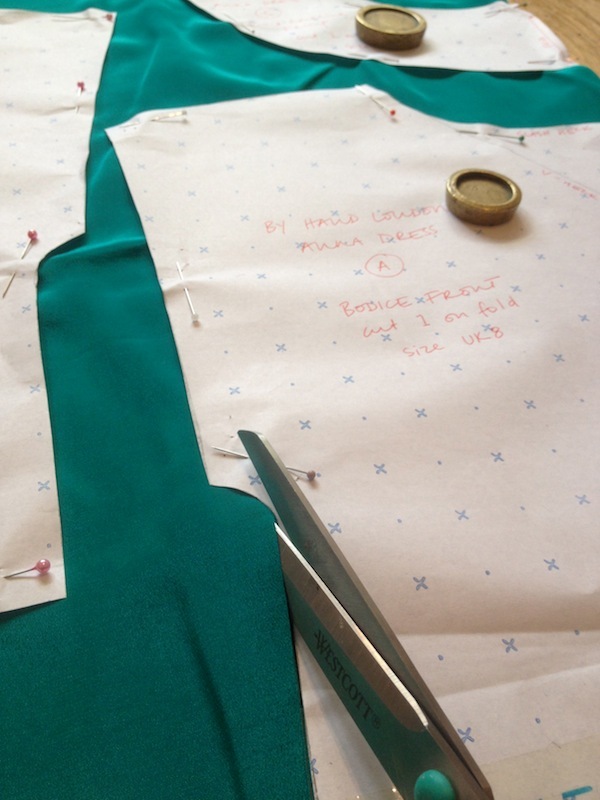 In the next post we'll be assembling the bodice, talking about French seams and showing you the difference between the neckline facings and a full lining. We can't wait to see our new Anna's start to take shape! In love with your patterns, and I am currently making my third Anna Dress. 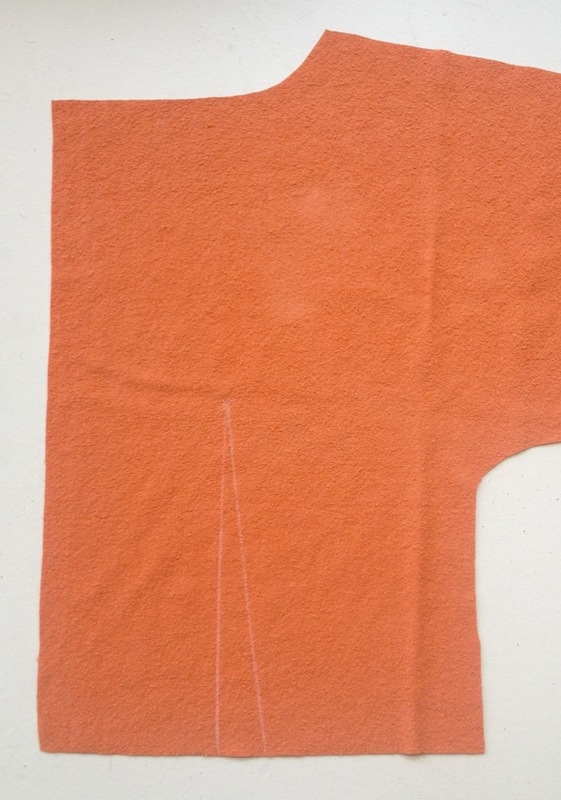 I wanted to include the 3/4 sleeve on this third dress but I am unsure of how to position the pattern on my 45 inch wide fabric. 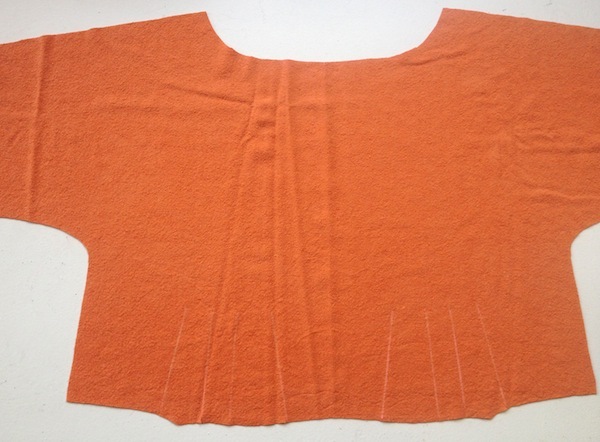 I am a size US 14 and if I include the 3/4 sleeves, the bodice pattern does not fit.